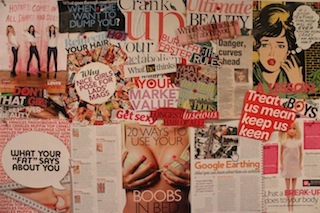 Brainwash Magazine behind the scenes… | Do you want to help create a better magazine for teen girls? 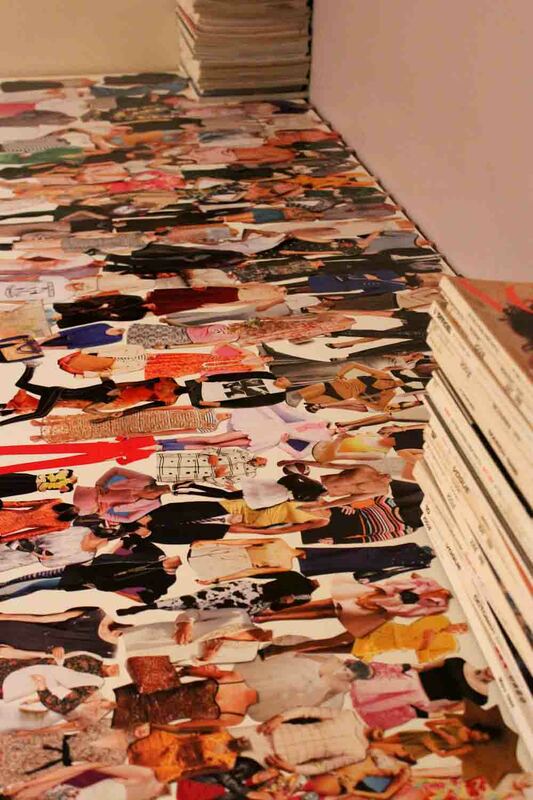 What’s it like working to create Brainwash Magazine? Exciting. There’s emails coming in all day, the Facebook and Pozible Crowdfunding pages to maintain, let along all the work involved in preparing every aspect of a magazine! I guess it’s also pretty hectic. I thought I’d share some photos with you to show you what I’ve been up to and how the Brainwash Office is looking. Below is a picture of my desk while working to create ‘paper people’. They are made from old women’s magazines. The point of making them is that even when you pair together all the ‘desirable’ body parts shown on women in magazines, they don’t form a hyper-attractive person but someone who looks a bit odd. Beauty isn’t in our perfectly symmetrical lips or the pairing of that woman’s hips with that other woman’s thighs, but in our imperfections. They are what make us unique and they are what we should be celebrating rather than lusting after the appearance of others. Next is a picture of one of my mood boards. It’s where I pin up things I see in magazines that I dislike or am insulted by. This will help me a lot in making sure inappropriate content doesn’t slip into Brainwash Magazine. 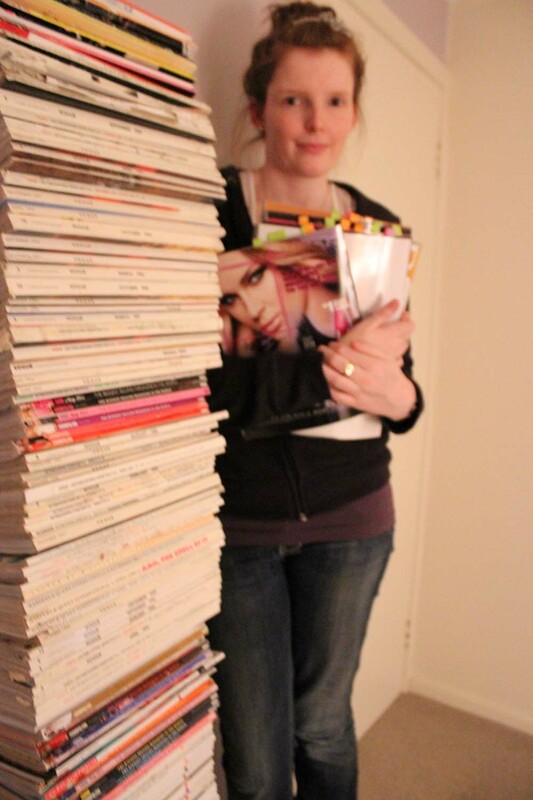 This one is next to one of my piles of women’s magazines – yes it’s almost taller than I am! I’ve got over 300 magazines stored in the Brainwash office and I refer to them constantly.. The pile shown here is less than half of them. 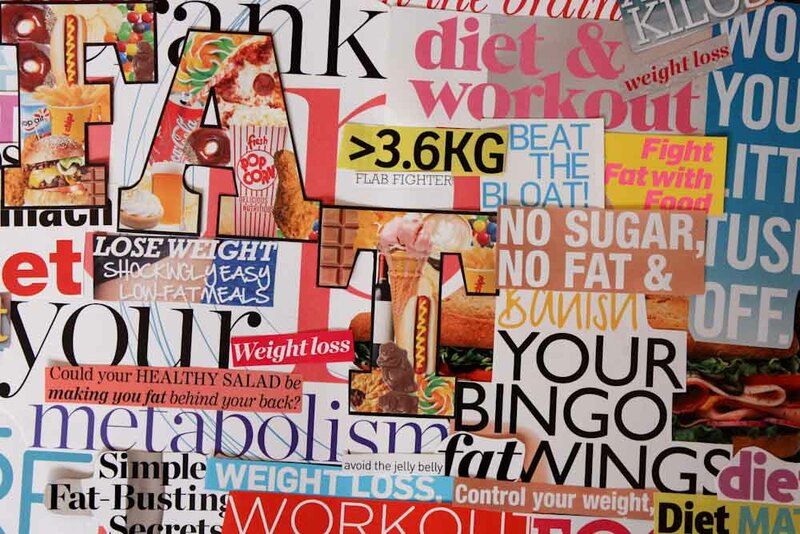 This is one of the collages I made recently to demonstrate how often women’s weight is mentioned and commented on in magazines. There is such a massive focus on losing weight and looking ‘better’ all the time… I don’t know how the magazines are supposed to make me feel good about myself.